LOPA's Community Outreach program encompasses a multitude of venues and audiences. Our community partnerships and events are an essential piece of our outreach and education efforts. Click the picture or link below to learn more about all the events coming up. Improve your knowledge about organ, tissue and eye donation as we have entertaining and informative conversations about donation. Listen to us here, find us on Apple Podcasts, or any of your favorite podcast apps. Let us know if you have any questions or topics you want us to cover. Contact us at (504) 648-3477 or info@thegiftedlife.org. The success of organ, tissue and eye donation hinges on the relationships with our hospital partners. Together, we are committed to supporting donor families and patients awaiting a life-saving transplant. BE INSPIRED! 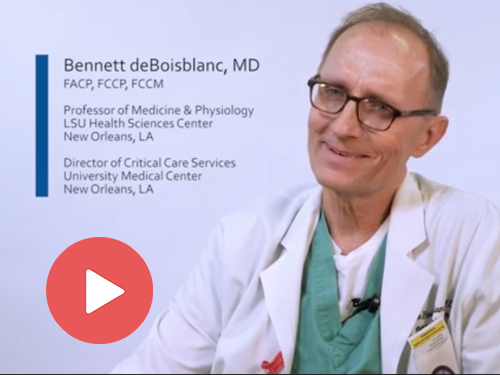 Dr. Bennett deBoisblanc talks to us about the gift of life and how a casual encounter inspired him.